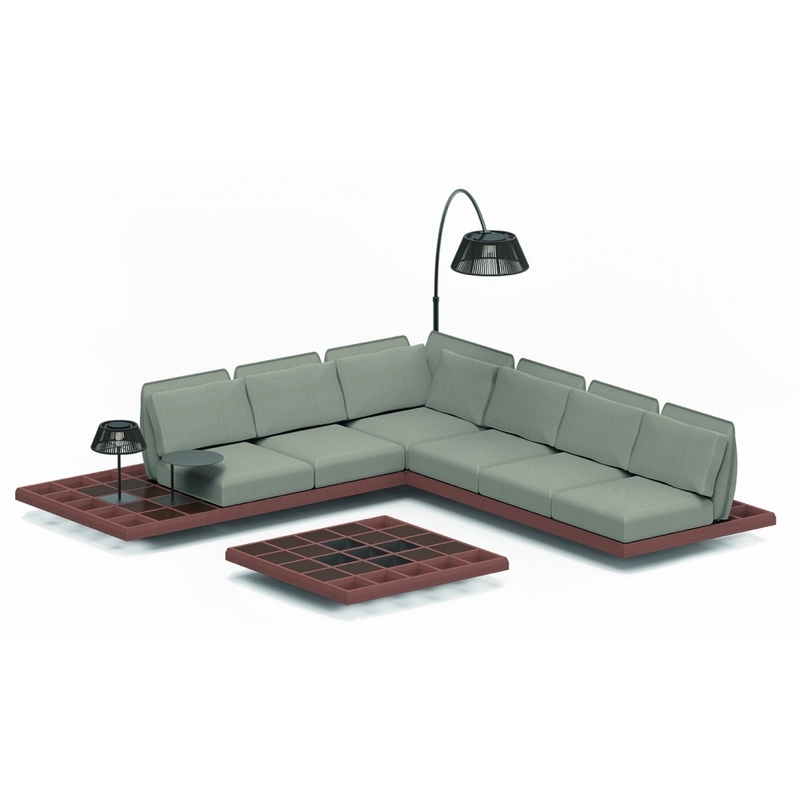 The Mozaix 01 Lounge Set by Royal Botania offers you the opportunity to purchase a one-stop modular seating unit complete with lighting, cushions and side table. The Mozaix 01 Lounge Set combines luxurious, low seating with stylish design using the highest quality craftsmanship and materials. Choose from classic mahogany, oiled grey or oiled teak frame and seat finishes to complement your outdoor space. Royal Botania has earned a global reputation for blending design and quality with the finest materials to create outdoor furniture and lighting to suit the modern requirements of luxury living. Whilst our pricing excludes the mosaic tiles, our expert team will be happy to advise on pricing and availability for any of the products by Royal Botania or other collections of outdoor furniture and accessories from our extensive directory here at Uber Interiors. We’re happy to help at any stage of your plans from initial ideas to finishing touches and can support you, or your project planner, with our product knowledge and expertise to ensure your design scheme is the best it can be. Why not get in touch today?